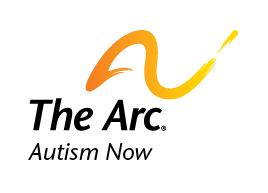 Since its inception, The Arc has been on the forefront of special education advocacy. Many chapters of The Arc provide individual advocacy services for students with intellectual and developmental disabilities (I/DD). However, academic achievement and graduation rates of students with I/DD continue to lag far behind their peers without disabilities, making advocacy efforts more important than ever. To aid in this effort, The [email protected] launched an Online Resource Center in December 2016. The Online Resource Center has several sections, including the “Know Your Rights” section, which provides information about special education laws and the rights of students and their families in special education. The site also has a best practices section describing special education advocacy throughout our chapter network, as well as a resource directory to help students and their families find advocates in their state. To learn more, visit our blog. Date posted: March 1, 2017. Content created by The Autism NOW Center. Last updated: March 21, 2018. Is there anything ARC can do to gelp Caleb Tidwell in Cheyenne? I am appalled at the DA for pursuing a case against this young man who cannot defend himself. Please reply. I need some help locating a place for my mentally challenged daughter whom is 42 years old and l have power if attorney for her.l really in desperate need for some help.. Please respond ASAP. It’s very interesting that this website is very helpful for students who have Intellectual and Developmental Disabilities.